After we'd posted our story on Teenage Engineering's OP-1 yesterday a horrible thought occurred. 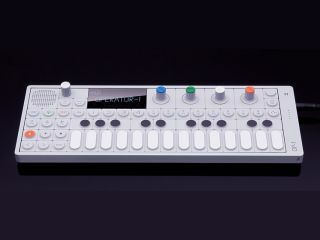 Could it be that this portable synth/sampler, which was scheduled to be launched at the Frankfurt Musikmesse today, could be some kind of cruel April Fool hoax? Fortunately, MusicRadar can confirm that the thing is properly real - in fact, we've got the video footage to prove it. Our own Chris Wickett caught up with the Teenage Engineers as soon as the Musikmesse doors swung open, and they explained what the product is all about. Curiously, the guys are being pretty cagey when it comes to discussing the specifics of the onboard sequencer, but they have confirmed that the FM radio is being included so that you can sample from it. Hit play to get the full skinny.